Still life photograph of potatoes balanced on top of each other to make a composition. 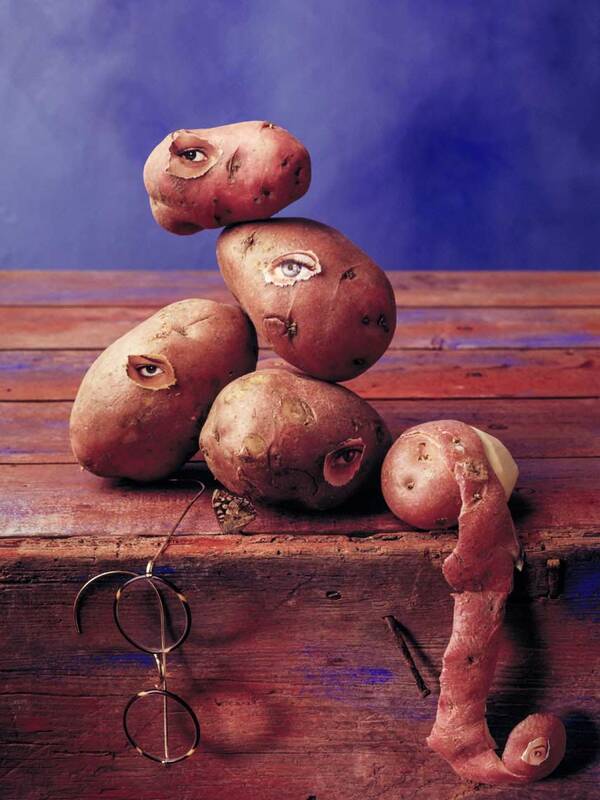 Each potato has an eye collaged on to it from torn pictures from a magazine. Shot on 5" x 4" film in one exposure.